Located in Stratton's exclusive High Meadow neighborhood, this luxury 10 room home boasts spacious accommodations with all the amenities. Come relax and enjoy mountain views, Jacuzzi tubs, a large great room with fireplace, a recreation room with pool table, 3-season porch, barbecues on the large outdoor deck, wireless broadband internet access, digital cable, a wide screen TV as well as a DVD player on every floor. Also for your convenience, there is free private ski shuttle that picks you up at the bottom of the home's driveway and drops you off at the mountain, allowing you to spend more time on the slopes rather than in the parking lot. Walk to Stratton's championship 27-hole golf course or enjoy shopping and fine dining the legendary Stratton Village or in nearby Manchester Center. Shuttle to and from mountain. Stayed for a ski weekend at Stratton, their home was larger than the pictures made it look, and it was very conveniently close to Stratton (5 min drive). Incredibly comfortable and clean home, and really great place for a group! The house was spacious and fully equipped! Our group had a wonderful time. Brad and Monica were wonderful and answered all our questions prior to arrival. Thank you!! Great Stay @ a Great house in Winhall! I'd like to thank Brad & Monica for providing a great home for my family and our guests to stay for a long weekend. Anyone traveling with a large group should consider this house. It has 6 very comfortable bedrooms that can easily sleep 6 different families and enough common area space for everyone to enjoy a little something different depending on their mood. The home was exactly as described. Clean, comfortable, and has everything you need to enjoy for a weekend or week. Communication was quick and easy with the owners. We had originally looked for a true ski on/off home but bc of the lack of availability for our time frame we came across Brad & Monica's home. 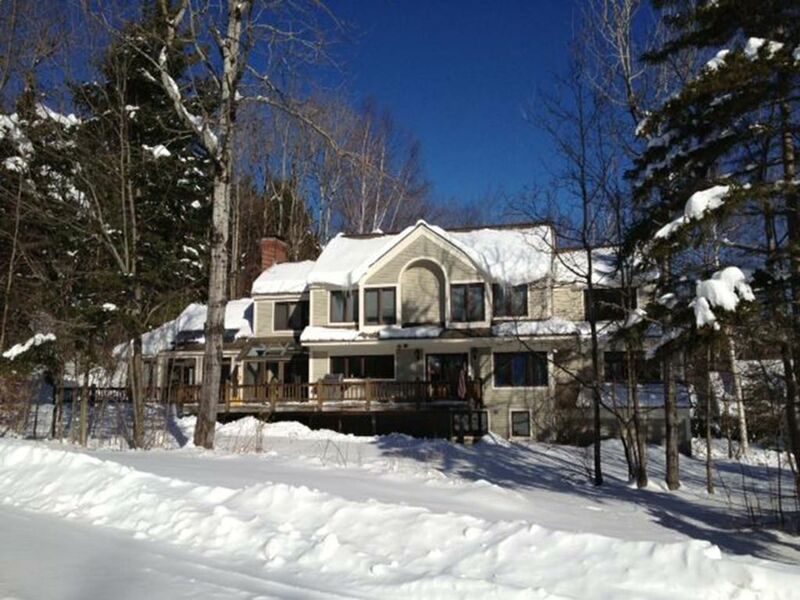 The house is extremely conveniently located near Stratton Mountain (5 min drive to Stratton parking lot) for those who want to drive, however there is a VERY convenient shuttle service that literally picks you up at the end of the driveway and drops you back off there as well. Certainly makes it worry and stress free. Thank you again Brad & Monica for a lovely and enjoyable weekend. Great location, spacious- close to mountain! We loved our stay at Brad’s house! Perfect for a few families and loved that the common areas were big; kitchen, dinette and living room. Basement was perfect for the kids to hang out. The bedrooms were great because they had sets of bunk beds in a king and queen room...so more comfortable with families w/ younger kids to be in the same room (and not on the floor). Didn’t utilize shuttle but location was close to mountain. Nice house! The house was perfect for our family. It was spacious and the living space made for fun dinners in. Brad was a great host. We hope to go back again next year. Very nice and clean house! nice and very clean, plenty of rooms and spacious, very close to Stratton ski resort. Will come back again next year.